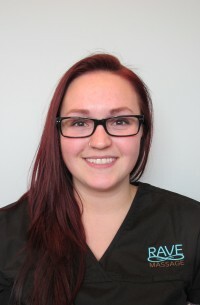 I have been a massage therapist for 14 years, since graduating from the Massage Therapy College of Manitoba in 2002. I have worked in a variety of locations throughout my career, from top spas to chiropractic offices and small business yoga studios. 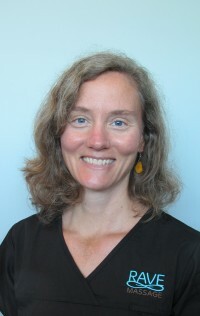 My goal is to provide an outstanding massage for my clients and I am able to incorporate Swedish techniques, stretching, trigger point work and all other facets of massage therapy. While I offer relaxation treatments, many of my clients have commented on my strength and ability to provide a great deep tissue massage. I am a recent graduate from Wellington College of Remedial Massage Therapies. 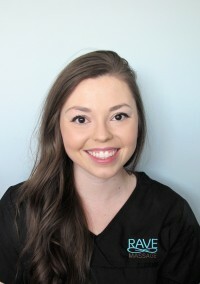 I am excited to be joining the team here at Rave Massage! During my training I have learned assessment and treatment of musculoskeletal dysfunctions using a combination of massage and mobilization techniques. I have taken additional courses in pre and post sports event, level one pregnant pelvis and cranial sacral therapy. Some of my favourite areas of the body to asses and treat are the TMJ and cervical spine. I am very excited to join this rewarding field. I look forward to meeting you and helping you receive the benefits massage therapy has to offer. 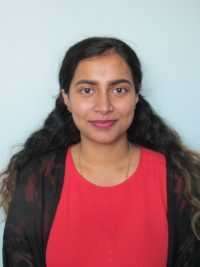 I graduated from Wellington College eight years ago and have spent these past eight years focusing on Swedish, Sports and Palliative Massage Therapy. 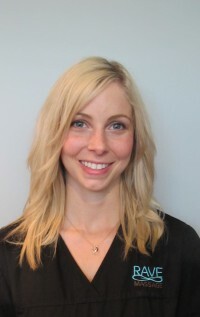 My treatment goals are to help people be relieved of the pain of injuries and stress and promote an overall well-being. Treatment ranges from relaxation to deep pressure. I am a recent graduate from Wellington College of Remedial Massage Therapy and am excited to be joining this rewarding field. I have always had an interest in working within the health care profession as helping people has always been a main focus in my career choice. Massage therapy has numerous effects on our body that improve our overall well-being and quality of life therefore, I believe that anyone can benefit from receiving a massage whether it be therapeutic or relaxation. Having recovered from many injuries myself, assessing and developing a treatment plan for rehabilitation of injuries has become a focus for my approach towards massage therapy. My studies have led me to develop a higher interest for treating the lower extremity of the body as well as the neck and shoulder. I have also taken additional workshops in hot stone massage, palliative care and fascial integration. 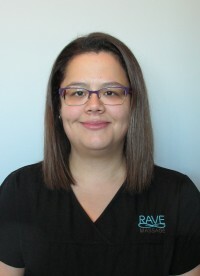 I am thrilled to be joining this incredible team of therapists here at Rave Massage and I look forward to meeting and working with you in the near future! I am a graduate of Wellington College of Remedial Massage Therapy. I have had training in Fascial Techniques and look forward to continuing my education in this field. I enjoy working on the lower half of the body through therapeutic techniques. I have many years of experience working in the health care field and will bring this knowledge along with me. In my spare time, I enjoy reading and trying to get to hockey games in the winter and baseball games in the summer. 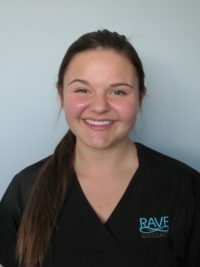 I look forward to helping you here at Rave! 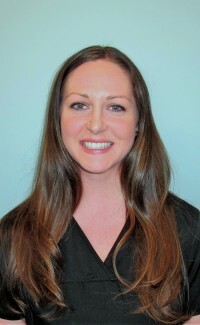 Health and wellness has always been a passion of mine, and massage therapy has allowed me to combine this passion with my love of helping people. 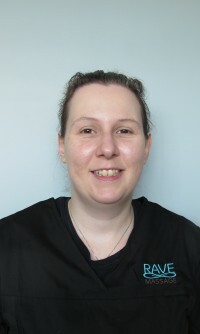 I am a graduate of the 2550 hour massage program at Wellington College of Remedial Massage Therapies, and I have taken additional courses in Hot Stone, Reflexology, Facial Integration and Spa Therapies. 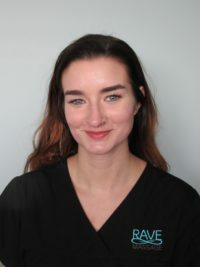 I am beyond excited to be a part of the team at Rave Massage, as the centre provides the ultimate relaxing atmosphere for me to assess and give treatment using remedial soft tissue techniques. I look forward to helping you achieve your wellness goals. 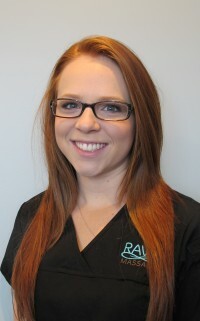 I graduated in 2011 from the Massage Therapy College of Manitoba. I believe in massaging clients the way I would like to be treated and believe that massage should not be painful – it should feel good yet still be effective. 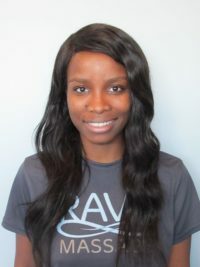 I incorporate Swedish techniques, stretching, trigger point work and all other facets of massage therapy. 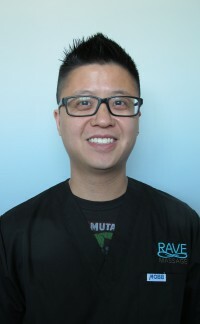 I have worked at chiropractic clinics, massage therapy clinics and high-end spas throughout the city and am committed to providing the best possible care to each and every patient while getting them back to their optimum level of health. I am a recent graduate from The Evolve College of Massage Therapy. Originally I attended university before deciding it was not for me. I was interested in a career that allowed me to grow and continue learning. After stumbling upon massage therapy I could not be happier. This field has allowed me to explore all different aspects of holistic healing. I have taken courses in joint mobility, myofascial, stretching, trigger points, sports and relaxation based massages. I am also certified in cupping and look forward to adding more to my education. Although capable of performing full body treatments I have personally struggled with upper back and jaw pain. In return, I have learned to work extensively with the upper body. By understanding the toll injury can take on the body, I want to work together to develop a treatment plan best suited for you. I am a recent graduate of the Wellington College of Remedial Massage Therapy. 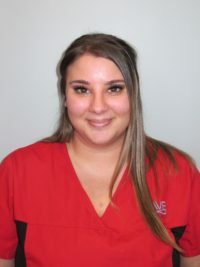 I first became interested in Massage Therapy after working in retail sales and realizing that I had a talent in working with clients and solving their problems. I started skating at the age of 2 and started competing at the age of 8. Over the years my passion for the sport ignited and I joined the Manitoba Provincial Figure Skating Team. I branched out into partner figure skating by starting pairs. It was exciting with the big lifts, the throw jumps and the speeds that could be achieved on the ice. As I reached this level of skating I started to have my first experience with musculoskeletal pain associated with soft tissue injury. A few years later, I made the switch to ice dance, a cool and smooth performance of the sport that focuses on footwork skill, and eliminated the lifts and jumps that were hurting my body. At 18 years old, with injury and pain still nagging at me, I was forced to resign from competitive figure skating. I worked as a confectionery chef in the years since my athletic career, a job that I truly loved, until a left shoulder injury forced me to resign. I spent many hours with Doctors and physiotherapists to rehabilitate my shoulder. Through my experiences I have developed a true understanding for the physical and emotional cycle that comes from injury and the way it can affect everyday life. The greatest relief I experienced in my years of treatment was with massage therapy and I am I true believer. 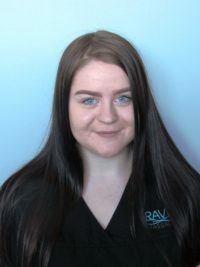 I am a graduate of Wellington College of Remedial Massage Therapies two year program, and I am overjoyed to be joining the team at Rave Massage. Holistic approaches to health and wellness has always been an interest of mine and I am so excited to have gotten the knowledge to apply assessment and treatment to musculoskeletal dysfunctions. I have additional training in hot stone massage, reflexology and fascial integration, which I try to include into all of my treatments. I believe in working with my clients to come up with the perfect treatment plan that is right for them whether it is a general Swedish massage for stress relief and relaxation, or through assessment and deep tissue massage for injuries. 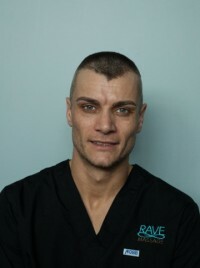 I am excited to keep learning and growing my practice at Rave, looking forward to meeting you! I graduated from Wellington College in 2014 and I am excited to help people through massage. I have training in numerous other health care fields and I bring that knowledge with me in helping you. I am very active and I will do what I can to get you to where you want to be. I Graduated from Wellington College of Remedial Massage Therapy in June 2014. I am trained in therapeutic treatment and relaxation massage as well as Hot Stone Massage treatments. In addition to that, I have also completed my Level 1 Pregnancy Pelvis training and Pregnancy Pelvis Level 2 (labour and delivery). This training has lead me to have a special interest in working with pre and post natal clients, as well as it has given me a better understanding of the pelvis and how it can affect everyone. While I am more specialised in pregnancy work, I enjoy working on a variety of different people and age groups. I would describe my massage style as a more gentle approach. I still use deeper pressure when needed but prefer not to be too forceful. We can get great results working within the limitations of your tissue rather than forcing change and potentially damaging the tissue in the process. When your body can relax, I find your tissue is more responsive to the massage techniques. I find this career to be very rewarding. 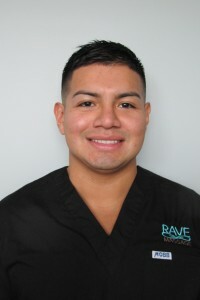 I really enjoy helping people in a natural way and love being in the healthcare field. I graduated from the Massage Therapy College of Manitoba in June of 2014 at the top of my class. 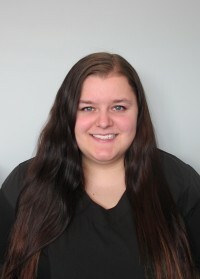 I am passionate about massage and helping clients meet their goals be it relaxation, decreasing pain levels, or increasing of range of motion in any area of the body. I am most passionate about massaging the back, jaw, pelvis/glutes regions and especially the neck due to my personal experience with chronic tension headaches. After making several career changes over the years, I finally found what I’ve been searching for after studying massage. 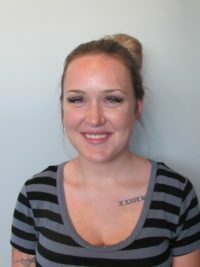 Being a massage therapist appeals to me because of my fascination with the body which started with a Psychology major at the UofW, my love of people and being able to help them which was fostered when I did 3 years of home care prior to massage therapy, and my experience with massage playing a major role in coping with chronic headaches. 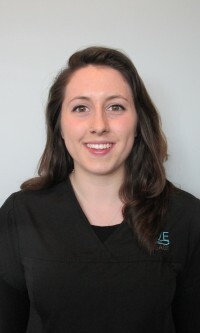 I’ve always had an interest in helping others and I feel like massage therapy was the best option for me to do that. I have studied massage therapy in it’s many forms, first in the states at the Utah College of Massage Therapy as well as right here at the Massage Therapy College of Manitoba. I love learning so I will always be upgrading my skills to help my clients meet their goals and I have added the oriental modality of Cupping to my repertoire. I’m looking forward to meeting different kinds of clients and helping them achieve their goals. I’m an avid reader, I love being athletic, being outdoors and finding new adventures. Though of everything, nothing is more important to me than my children, they have helped me focus to get me where I am today. I am a graduate from Wellington College of Remedial Massage Therapies. 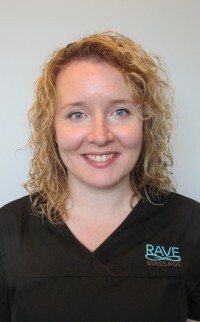 I am very excited to be joining this amazing team of Registered Massage Therapists at Rave. Joining the health care field has always been a huge passion of mine. I strive to be able to guide my client’s back to their optimum health through therapeutic rehabilitation. I have been trained to do a thorough assessment and treatment of musculoskeletal dysfunctions and to utilize massage therapy to treat soft tissue injuries. I have taken additional certified courses throughout my training which include; Hot Stone Massage, Spa Therapy, and Fascial Integration. I believe that massage therapy has an overall benefit to the human body whether it is specific therapeutic treatment on dysfunctional musculature or a full body relaxation massage to rejuvenate the body and mind. I am thrilled to apply my knowledge and training to your specific therapeutic needs. I am looking forward to meeting and working with you! Hello! 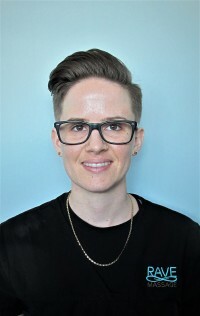 I am a 2007 graduate of the Massage Therapy College of Manitoba and have since developed experience in swedish massage, deep tissue, sports therapy, and myofascial treatment, as well as pursued an interest in energy work, having completed Reiki Level 1. Continuing studies, from taking Upledger craniosacral and visceral manipulation courses to completing half of the five-year Canadian College of Osteopathy program, have further expanded my practice. As an avid traveller, I made good use of mobile manual skills and enjoyed working as an RMT for three winters in the Turks and Caicos Islands of the British West Indies. 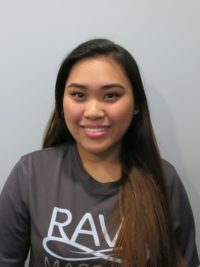 Happy to be part of the Rave Massage team, I offer a variety of techniques to assist clients with pain relief, chronic issues, and a boost to vitality and I welcome the opportunity to demonstrate the benefits of a holistic approach to health! I am a recent graduate from Wellington College of Remedial Massage Therapies. I am very excited to be joining this awesome team at Rave. I have been trained to assess and treat musculoskeletal dysfunctions of the body. I have additional training in Hot Stone Massage and Level 1 Pregnancy Massage. Helping others has always been a passion of mine so I believe in creating a specific treatment plan for each individual client to best suit their needs whether that is a simple relaxation massage or a more therapeutic based treatment. I am a graduate from Wellington College of Remedial Massage Therapies. Working with people has always been a huge passion of mine. Being in the health care field is extremely rewarding. Massage Therapy has endless benefits to your overall health and I believe that anyone can gain something positive whether your treatment is therapeutic or relaxation based. I have great joy being able to providing people with an alternative form of healing and to be a part of someone’s recovery journey to becoming strong and healthy individuals or to provide some sort of relief to their daily living. I have taken additional certified courses in Rib Mobilization, Cupping Massage, Hotstone Massage, and Indian Head Massage. 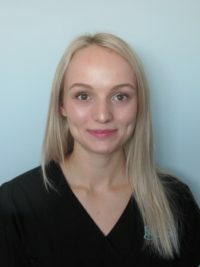 Through my schooling I have been highly trained in assessment and treatment of musculoskeletal dysfunctions and rehabilitation of soft tissue injuries. I really enjoy providing knowledge and treatment to lower back, neck, and shoulder complaints of the human body. 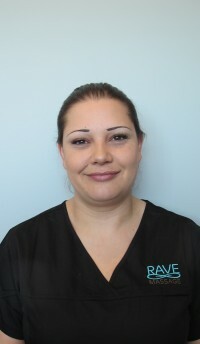 I am very excited to be a part of this talented team of therapists here at Rave Massage. I look forward to meeting you! Hi there, my name is Shannon Whitehead. My mantra is: “If it doesn’t move you, Move on.” I graduated with distinction in 2011 from the Wellington College of Remedial Massage Therapy. I have a diverse set of resources that I use in the assessment and application of massage. Hydrotherapy, more specifically Hot Stone Massage, or contrast ice / heat treatments and Neuro- Proprioceptive Taping have excellent results in prevention, acute and rehabilitative situations. I have continued my education in massage therapy with regards to MS, concussions, thyroid conditions, cancer and visceral release. I am an artist as well and I believe having 25 years of experience as a professional vocalist has help me to understand that the body, really is our instrument. We are all made for different reasons. My goal with your treatments is to help you find a way to do the activities you do, as often as you like, pain-free! My faves are gardening, cooking, hiking, camping, dancing and rocking out! 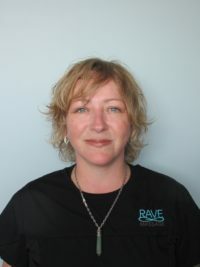 I am own and operate Rave Massage alongside with my wife, Tracy. I grew up and went to school in St. Vital and I am a proud member of this community. I have been a health care professional for nearly 20 years. I graduated from the Wellington College of Remedial Massage Therapies in 2015. 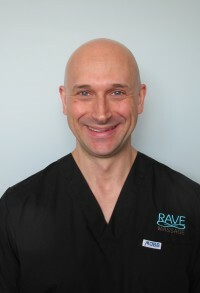 I am also a Physical Therapist and received my degree from the University of Manitoba in 1999. While practicing as a Physical Therapist I completed advanced training in Spinal Manipulation, Diagnostic Imaging and Acupuncture. I treated a wide variety of musculoskeletal conditions with a focus on neck, back and shoulder injuries. I look forward to working with you to help you reach your health & wellness goals. I have always wanted to care for others and once I found massage therapy there was no looking back! I graduated from Wellington College as a Registered Massage Therapist in 2015. My personal journey and recovery from surgery following a back injury has given me a special interest for treating clients with back problems. Another passion I have developed is helping clients with swelling and Lymphedema. I am a Certified Lymphatic Therapist, with my education through the Academy of Lymphatic Studies. This new path in my career allows me to provide Complete Decongestive Therapy, more commonly termed Lymphatic Treatments. These treatments consist of: Manual Lymph Drainage, compression, exercises, skin care and education for clients with swelling or lymphedema. I am very excited to offer lymphatic treatments at Rave Massage. If you have lymphedema or any kind of swelling come see me! 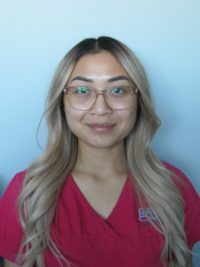 I graduated from the Massage Therapy College of Manitoba in 2007, and have been a member of the Massage Therapy Association of Manitoba practicing full-time since then. I love being a Massage Therapist because I love to help people and have the opportunity to learn new things everyday. I enjoy working with people of all ages, from toddlers to seniors. Since graduation, I have also completed further education in Craniosacral therapy, Somato-emotional release, and TMJ assessment and treatment. I have a special interest in TMJ, neck, and thoracic outlet anatomy and function as I have noticed an increasing amount of reported headaches, whiplash, TMJ clenching, TMJ grinding, and sleep apnea among my clients. 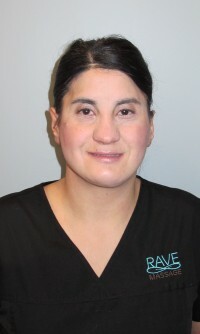 Rave Massage has a great flow and atmosphere. Everyone here cares a great deal about your comfort and overall health, I look forward to seeing you soon. I graduated from the Professional Institute of Massage Therapy in 2010. I am a competitive amateur power lifter and avid fitness and health nut. I provide both relaxation and deep tissue and like treating dysfunction of the shoulder joint and rotator cuff muscle group. In my spare time I enjoy reading and researching.